The video widget allows you to embed videos from Youtube, Vimeo, Wistia to any of your landing pages. 2 - A video widget will appear on your landing page. 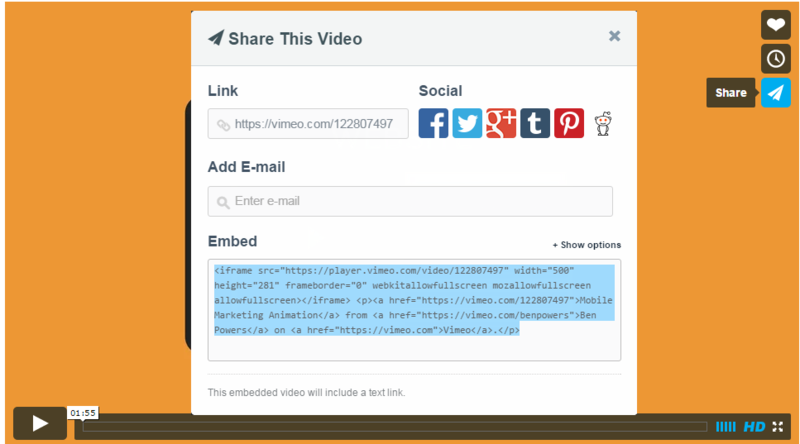 To embed your video, click on the video widget, then paste the embed URL into the video properties section. 3 - The video widget will always appear black in the landing page editor. To see if you have been successfully embedded your video, click the preview button. Click here to read Wistia&apos;s own article on embeding video. Refer to the iframe Embed section!